Médecins Sans Frontières/Doctors Without Borders (MSF) is an independent international medical humanitarian organization that delivers medical care to people affected by armed conflict, epidemics, natural disasters and exclusion from healthcare in nearly 70 countries. Our medical humanitarian work to provide health care to these populations requires constant access to affordable, quality generic medicines and vaccines, and patient-focused innovation. At the height of the AIDS crisis, MSF set up treatment projects and worked in close cooperation with several countries around the world – particularly India - on overcoming intellectual property barriers - to increase access to affordable HIV medicines. We are writing to you on the occasion of the signing of the Trans-Pacific Partnership Agreement (TPP) in New Zealand to draw the attention of the Indian government to our concerns regarding the potential negative consequences of this agreement on trade in affordable generic medicines among developing countries and particularly between India and ASEAN countries. The TPP is a regional trade agreement recently concluded by the United States and 11 other Pacific Rim countries (Australia, Brunei Darussalam, Canada, Chile, Japan, Malaysia, Mexico, New Zealand, Peru, Singapore and Vietnam). After years of negotiations without appropriate public input, TPP countries reached an agreement in October 2015, and the official text is only now publically available. The signing of the TPP is scheduled for February 4, 2016 in New Zealand, but the potential ratification and national implementation process is just starting. The TPP text confirms that if implemented, the agreement will be the most harmful trade pact ever for access to medicines. Intellectual Property Chapter in the TPP MSF’s analysis of the provisions in the TPP related to intellectual property (IP) reveal that they threaten to restrict access to affordable medicines for millions of people, treatment providers like MSF and Ministries of Health, and undermine the historic World Trade Organization (WTO) Ministerial Declaration on the TRIPS Agreement and Public Health (Doha Declaration). The TPP contains stringent intellectual property (IP) provisions that will lengthen, strengthen and broaden pharmaceutical company monopolies beyond what is required under the WTO TRIPS Agreement. We have communicated our concerns about the IP Chapter of the TPP on numerous occasions to negotiating countries over the past four years. To reiterate, please find attached an analysis of the most harmful provisions. The TPP will undermine and act as a permanent obstacle against reform The promise of the Doha Declaration is that the TRIPS Agreement can and should be interpreted and implemented in a manner supportive of WTO members' right to protect public health and, in particular, to promote access to medicines for all. TRIPS-plus provisions in the TPP threaten to make it impossible for countries who sign the agreement to exercise the rights confirmed in Doha. In fact, the TPP blocks countries that sign the agreement from doing precisely what India has done – amending their patent systems to include safeguards that will improve the quality of patent examination - and effectively address abusive patent ‘ever-greening’ practices that prolong patent monopolies. 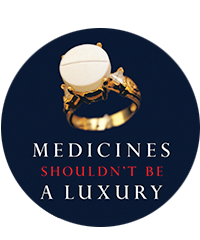 This will lock countries into paying excessive prices to multinational pharmaceutical companies for patented medicines, which undermines the right to health and national efforts to implement universal healthcare. MSF believes reform of the IP system is essential to overcoming the gap in access to medicines for millions of people around the world. Today, whether in response to the Ebola outbreak, the lack of new antibiotics to address TB and other drug-resistant infections, or the unaffordable price of $1000 per pill to treat hepatitis C in the US, there are numerous efforts underway to reform intellectual property rules while also introducing new approaches to incentivize R&D. The TPP will undermine and act as a permanent obstacle to such efforts. TPP in the region and the need to counter its expansion Lobbying efforts are now underway to actively encourage and pressure additional countries in the region — particularly India and ASEAN countries that did not participate in the negotiations—to join the TPP. Currently, Malaysia, Singapore and Vietnam from the ASEAN group are signing the TPP and starting national discussions on whether to ratify and implement the agreement. Indonesia and Thailand—middle-income countries that have championed TRIPS flexibilities and the Doha Declaration—have not participated in the negotiations, but have shown an interest in joining the TPP. It is imperative for countries in the region, including India, to lead an effort to counter the expansion of the TPP in the region and to promote the commitments enshrined in the Doha Declaration. Each of the new IP obligations in the TPP will limit access and trade in generic medicines, which has been one of the most reliable and powerful forces to reduce drug prices systematically, thereby making essential, life-saving medicines such as antiretrovirals (ARVs) for the treatment of HIV/AIDS more affordable for individuals and the health systems that serve them. As a medical humanitarian organization, we cannot accept the subordination of the health needs of our patients and millions of others to US trade interests. The US must not hamper the ability of countries in the region to fully implement the Doha Declaration. In order to ensure the protection of public health and the promotion of access to medicines, the TRIPS Agreement must be the ceiling for regional and bilateral trade agreements. We thank you for your attention and are available for further discussions and information.